Toyota has argued that today's lithium-ion batteries are too weak. TOKYO -- Toyota Motor Corp. has developed a new technology that may dramatically boost the storage capacity of lithium-ion batteries and thus open the door to more practical electric vehicles. The advance -- the fabrication of single crystals of lithium cobalt oxide -- grew out of joint research with Japan's Tohoku University, Toyota spokesman Paul Nolasco said. The new technology is a step toward creating a more powerful battery, but Nolasco declined to estimate the potential increase in a battery's storage capacity or an electric vehicle's range. Japan's Nikkei business newspaper said the technique eventually would allow lithium-ion batteries to store 10 times the energy of current ones. The development would roughly translate into a 10-fold increase in driving range, the newspaper said. The greater storage capacity could also enable Toyota to reduce the size, weight and possibly the cost of the battery pack. Lithium-ion batteries are seen as key to the mass marketing of electric vehicles because they are lighter and more powerful than the nickel-metal hydride batteries now used in hybrid cars. Yet Toyota has largely steered clear of electric vehicles, arguing that the current generation of lithium-ion batteries is still too weak to provide a sufficient range for all-electric drivetrains. 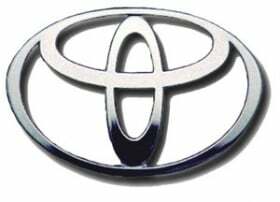 The cathodes of Toyota's current lithium-ion batteries are typically made from a polycrystalline form of lithium cobalt oxide that connected with grains of graphite, the Nikkei said. By using a single crystal form, however, Toyota can use less graphite and create more room for the storage of the lithium ions that create the electrical charge. The newspaper said it will take another decade to develop a cathode that contains no graphite and that version should be able to store 10 times today's electrical charge.